After a wonderful nights sleep at Heather’s parents house, we enjoyed our last American breakfast for the next few weeks. Heather’s mom prepared us eggs, bacon and pancakes. It was sooo yummy Ellen! 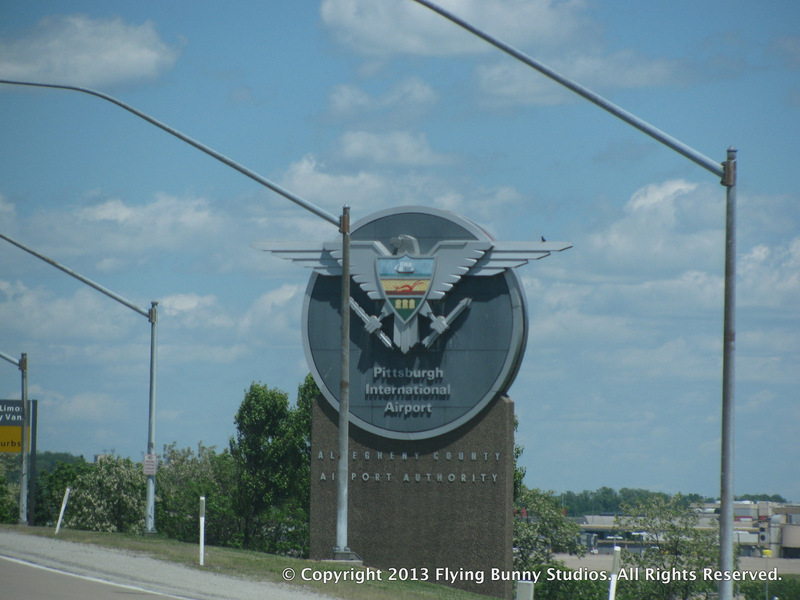 We completed a few last minute errands, including a must see in Youngstown, Ohio. Rulli Brothers Italian Market is almost like a trip to Italy. There is an aisle entirely devoted to olive oil and vinegar. I have never seen so many unique shapes of pasta or so many brands of tomato sauce. All that Italian food put us in the mood for some REAL pizza. ( which our hometown is sadly lacking) We had a Spinach Italiano from Pizza Joe’s ( thanks Mario!) and a HUGE pepperoni pizza from Cocca’s. Our drive to Pittsburgh airport with Heather’s Dad was delightful! Mr. Rick you are awesome! We had a fairly uneventful,yet bumpy flight to Chicago. I didn’t think I really wanted a snack before our next flight, but the smell of soft pretzels called to me. And it is a good thing they did! When I went to pay for my pretzel snack I was informed that both of my bank cards were declined! Apparently someone at my bank neglected to put the travel notice on my account. And the bank is closed until Tuesday. Grrrrrr! Because we were about to board the plane I called my DH and told him to handle it. Enter Heather’s travel tips: Always get a small amount of foreign currency before you leave on your trip!!!! This is literally saving my tail. So here we sit sipping our seltzer water and cranberry juice watching the sunset over Lake Huron, knowing that everything will be alright.